Waiver Master. Online and Kiosk Apps. Integrated with Square, Clover, MINDBODY. Custom forms and documents. Scan Driver License. 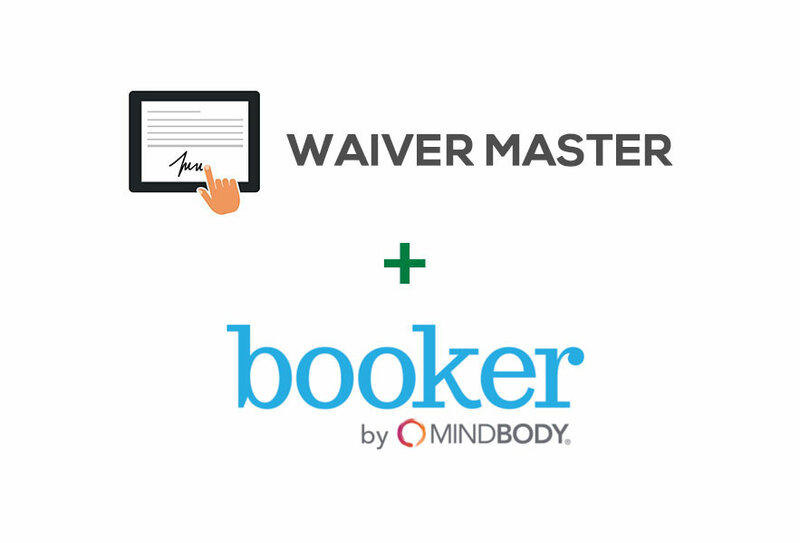 Waiver Master is the only document-management solution integrated with Booker! 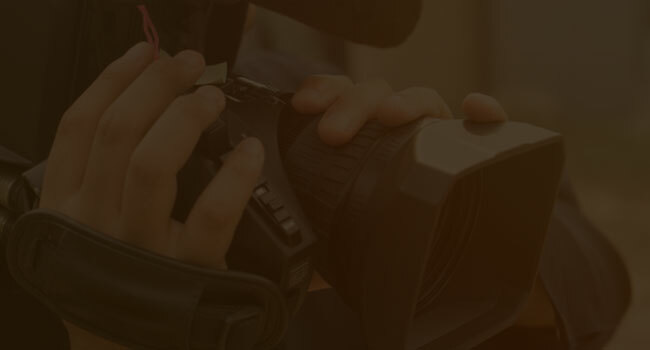 Integration includes client profile creation and document upload. 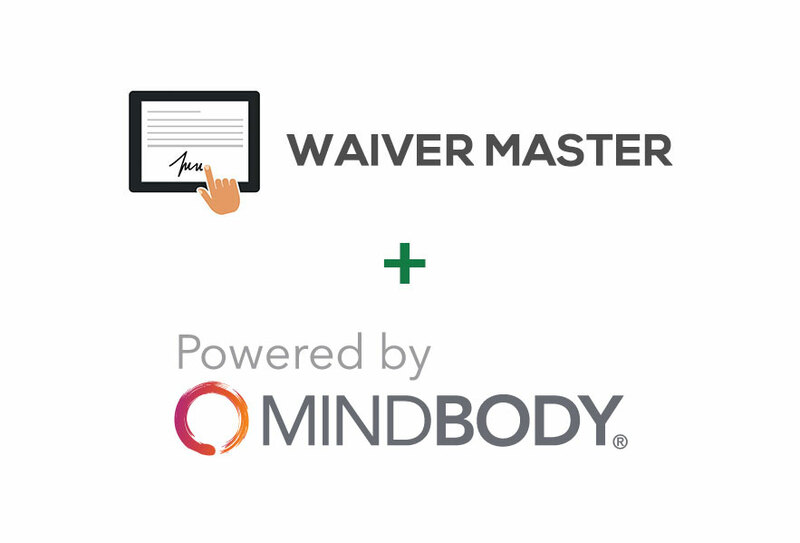 Waiver Master is now available in the MINDBODY Marketplace! 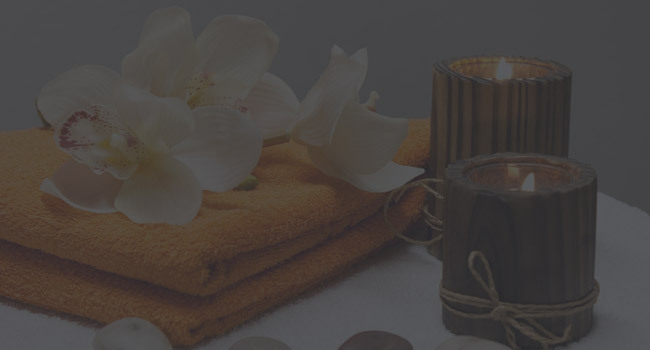 Integration includes creating/updating clients in MINDBODY and completed PDF upload to client profile documents. 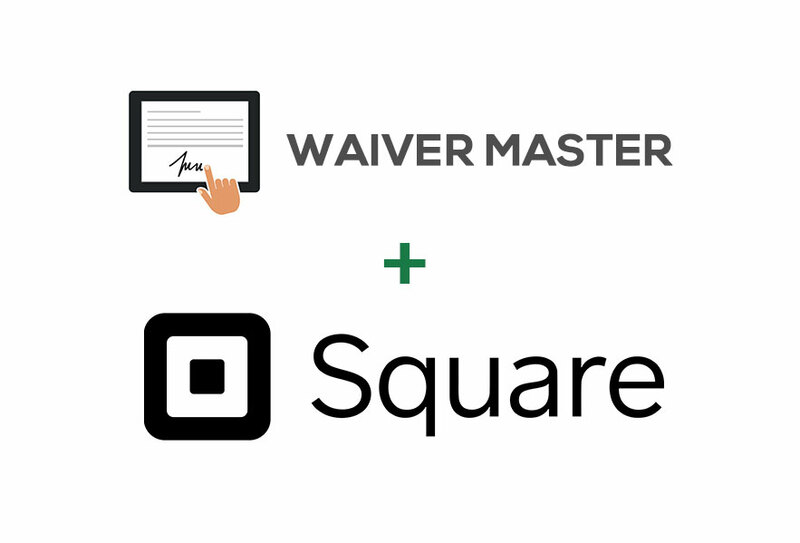 Waiver Master is now available in the Square App Market! 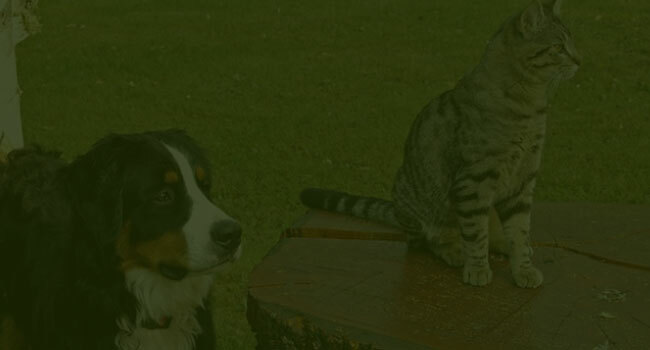 Integration includes customer creation and payment processing! If you're using Square, Click here to check out App Market listing! Not a Square user already? Receive 1K free processing with Square today, as well as the free integration! 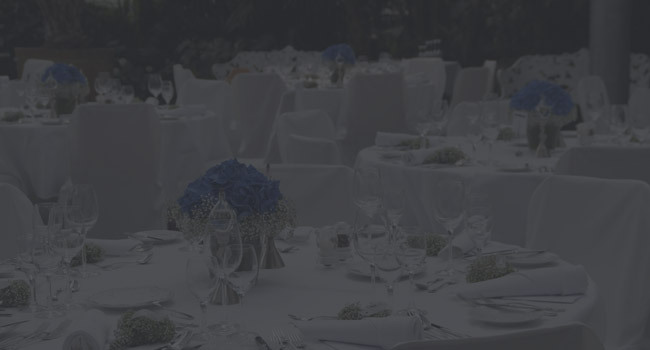 Offer and manage unlimited forms and documents for your customers, clients and partners to fill out and sign. Every form and document are processed and digitized by us to ensure quality of service. Customers can fill out and sign forms and documents any time before, during and after a visit to your business. 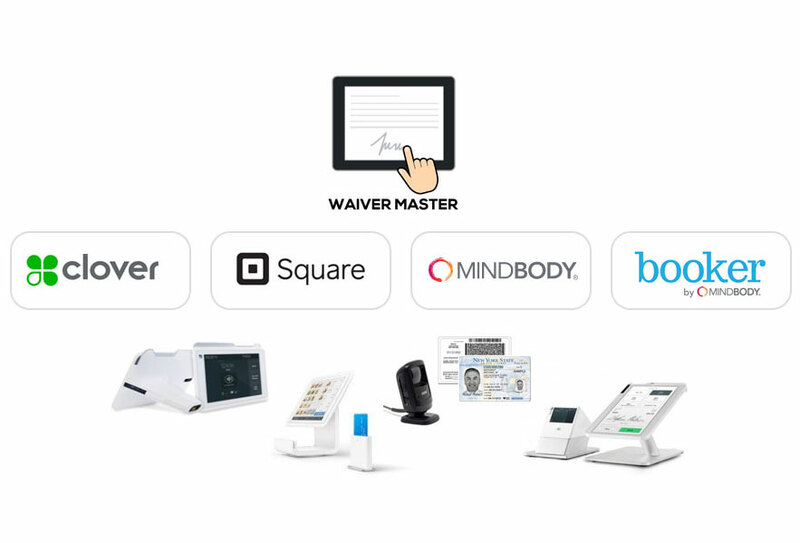 You can run a Free Waiver Master Kiosk App on any iPad or Android Tablet at your locations! Enjoy additional features if you're using these point of sale and/or management platforms. 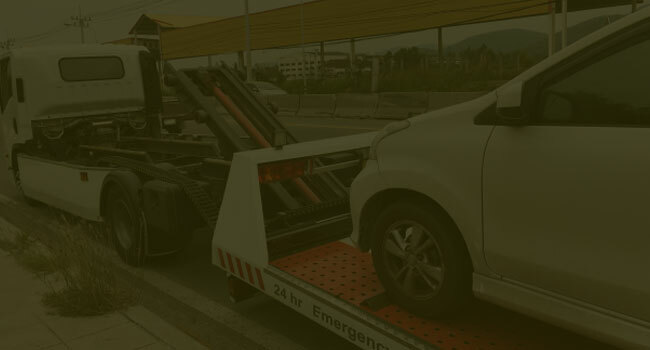 Need custom integration? Let us know! We do that a lot! 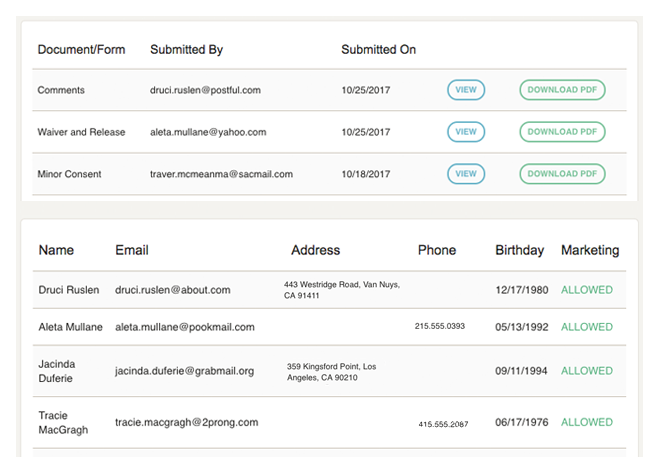 Customer data is instantly synced with your Clover POS, SquareUp and MINDBODY accounts when customers fill out and sign forms! Customers can access your forms and documents in a variety of easy ways. Install iPad, Android, Clover, Amazon Fire apps to use at your business locations! 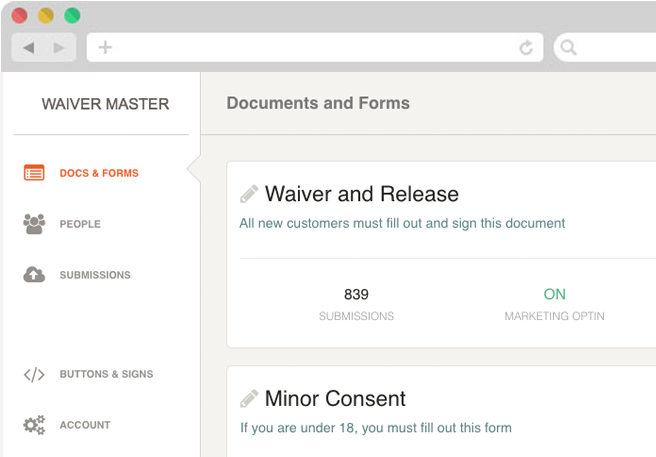 If your customers and clients fill out and sign documents, you should use Waiver Master! 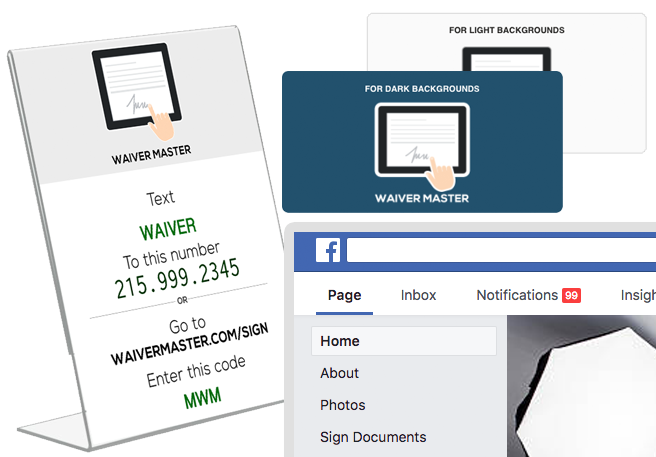 Thousands of businesses use Waiver Master every day! All plans include document storage for all submitted forms and documents. 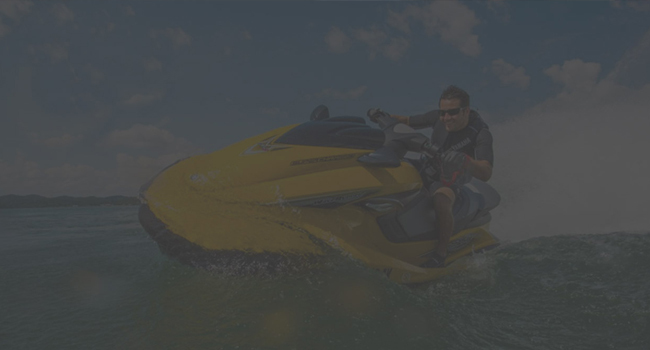 All plans include submissions and customer search, export and notifications. 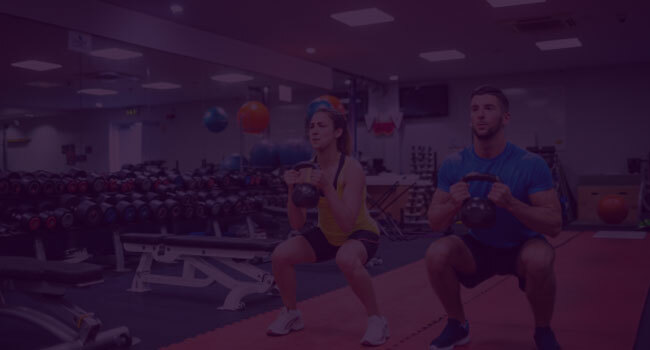 MINDBODY Online / Booker integration is additional $15 per month per location. All prices are per month. 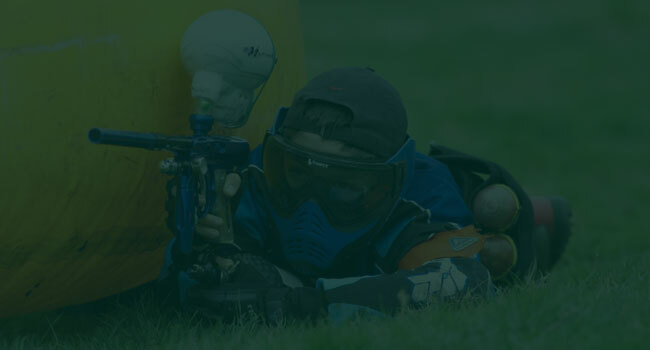 Sign up for a year and get 10% discount. WM FREE TRIAL is limited to single page and standard fields: name, address, email, phone, signature. WM-100/250/500 processing is free for a single document up to 2 pages. WM-1000/2500/5000 processing is free for documents up to 3 pages. Additional document processing is $25 per page, $49 up to 3 pages. Payment processing (Square) is one-time setup fee of $149/$199 per document. HIPAA accounts must sign up and remain on WM-1000 or above. Additional setup fee applies. 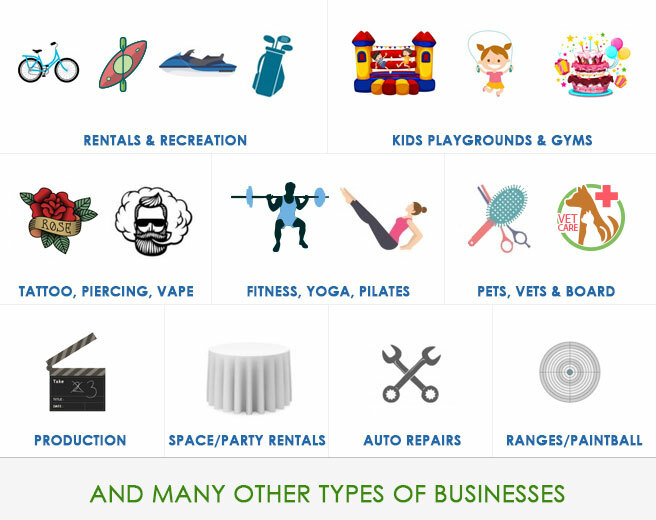 Storage/Access only plan is available for seasonal businesses @ $6.99/month.